AEROtube® anesthesia products for the artificial ventilation unite the variety and reliability required by professional users. Our ventilation tubing systems, made of different materials and available in different designs, offer the right configuration for almost every application context. Long service life increases patient safety and reduces treatment costs. The comprehensive system accessories, including the AEROvent® breathing filters, ensure a high degree of application safety and enable efficient demand planning. 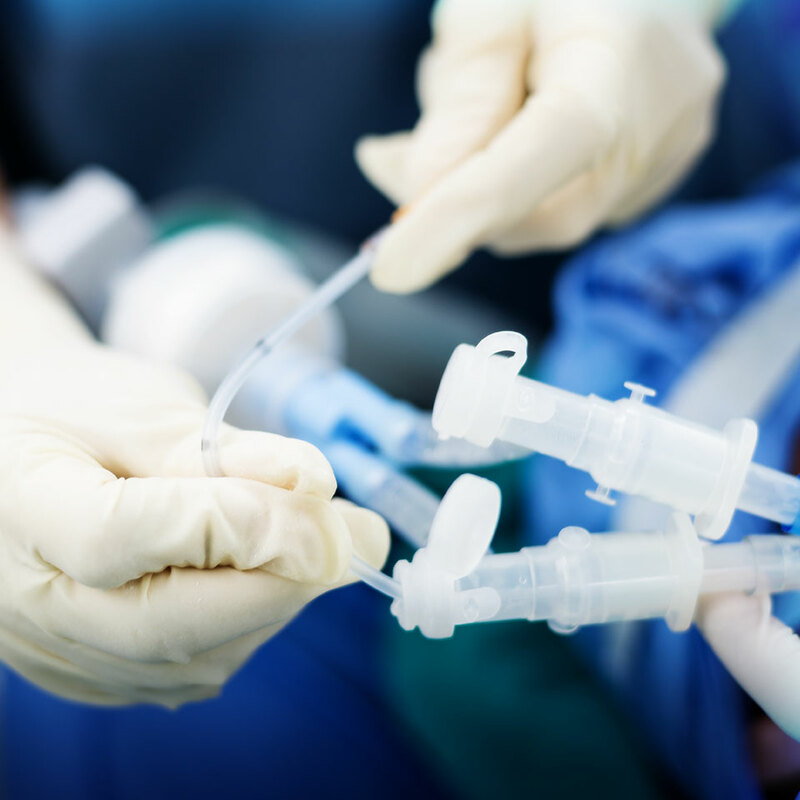 Single-use and reusable ventilation tubing and tubing systems for anesthesia and emergency environments, non-sterile, single hygienic packaging. Various diameters (22 mm, 15 mm) and lengths (extendable models). 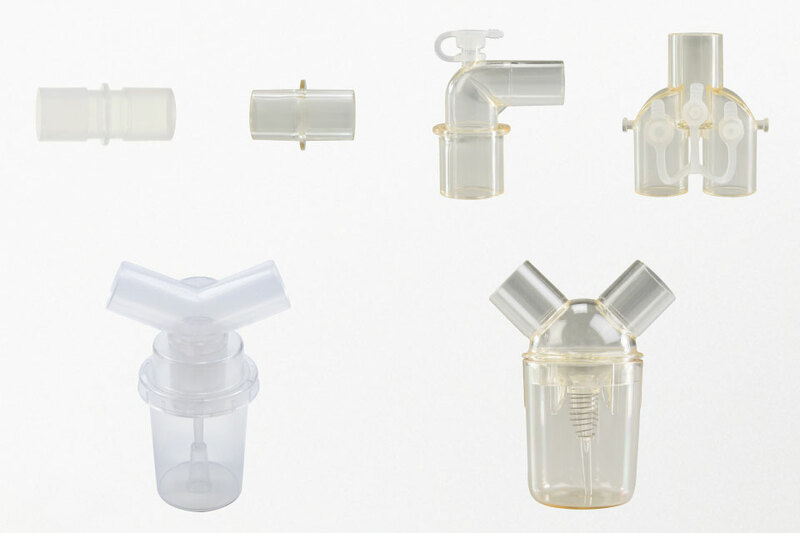 Different configurations (breathing bag, connectors, water trap) in PE | PVC | PP | silicone and PE coaxial available. 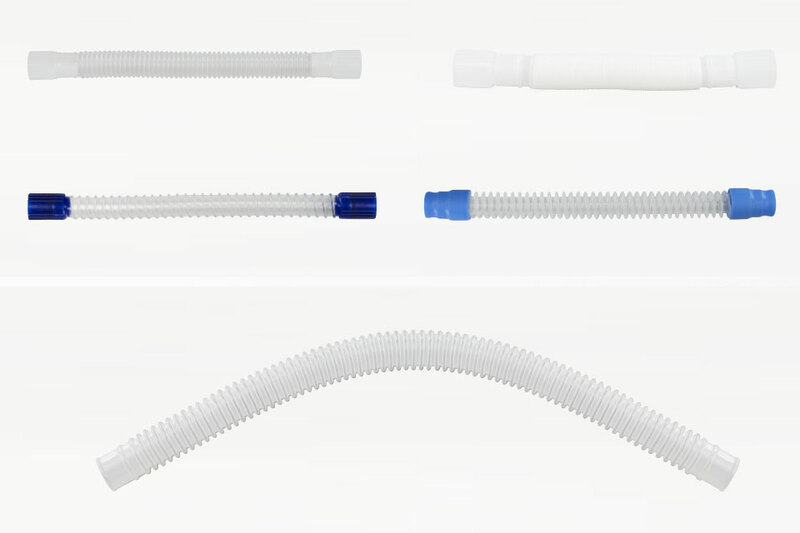 Combines inspiratory and expiratory tubing in one single unit. PE, latex-free. PE | PVC | PP | Silicone, available in different configurations, with 22F cuffs. Single use corrugated tubing, 22 mm, PE and EVA material with 22 mm cuffs, fix length 0.40 m or 1 m, 30 m rolls cuttable in 0.15 m steps. 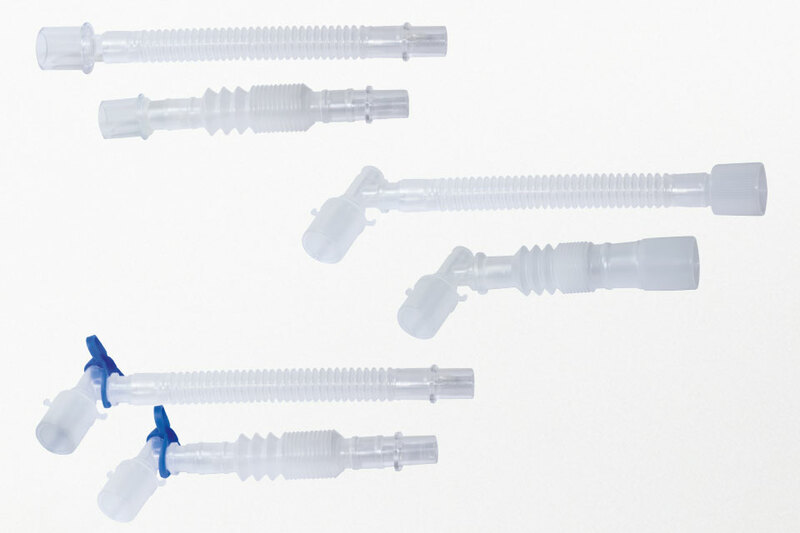 Single use catheter mounts for the connection of the ventilation tubing system towards the patient. Patient-side connections 22M/15F. Available in 12 different configurations. 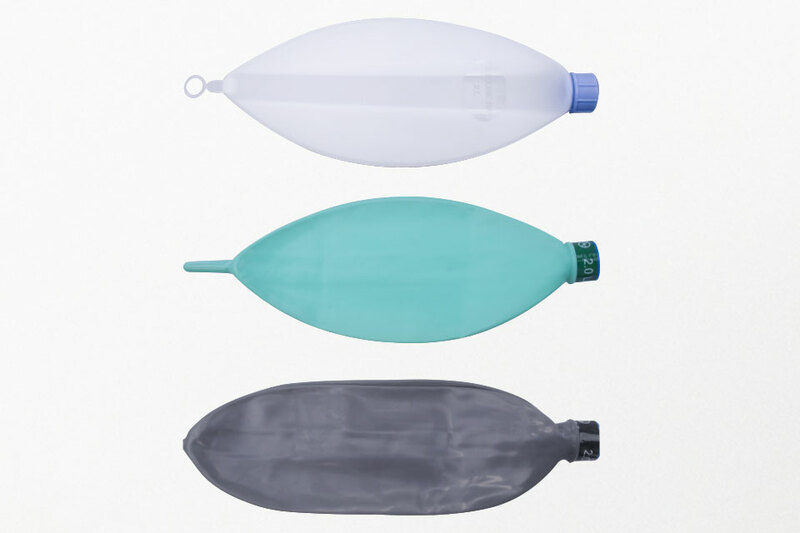 Single use breathing bags, latex or latex free as well as reusable silicone autoclavable up to 134 °C, with 22F-cuffs. 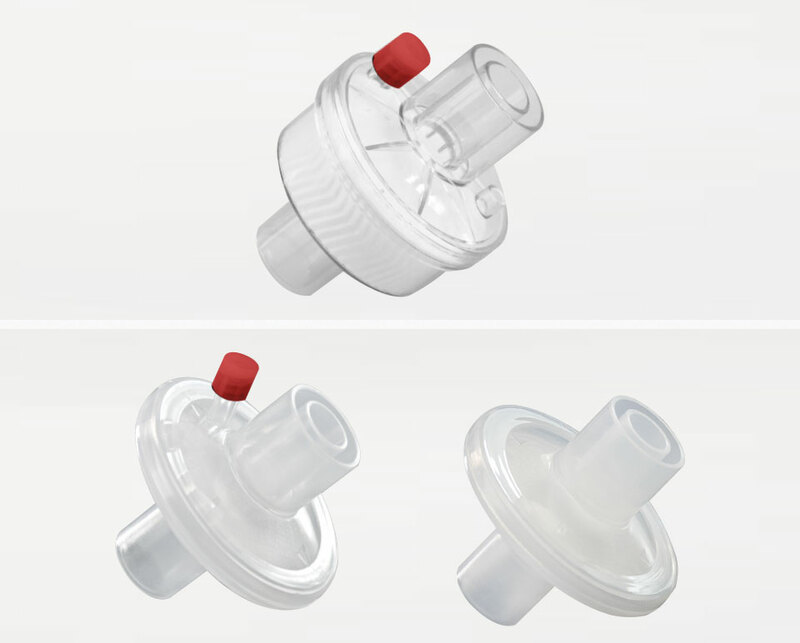 Tubing connectors, adapter and water traps for ventilation tubes and tubing systems. Different connections, polyethylene (PE), polycarbonate (PC), polypropylene (PP) or polysulfone (PSF). 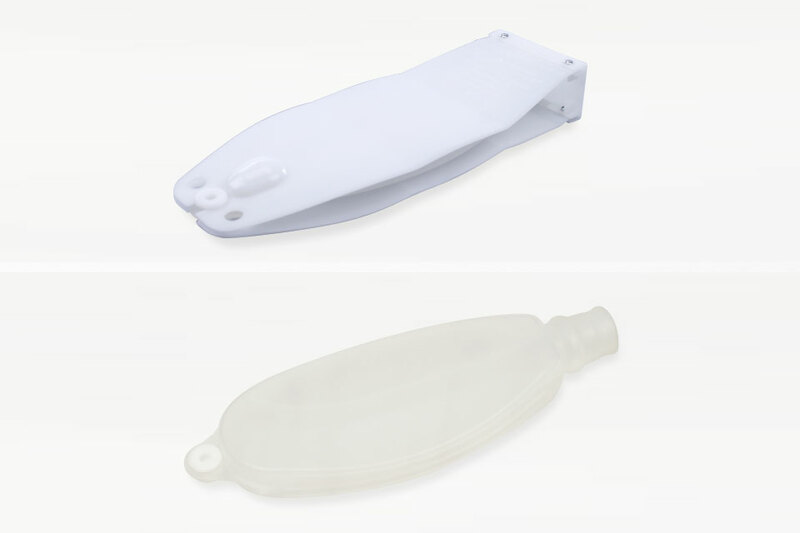 Reusable test lung for function tests of ventilation devices incl. tubing systems, dimensions 292 x 100 x 42 mm, weight 223 g.
Silicone bag for AEROtube® test lung, 1 liter volume. Electrostatic bacterial and viral filter with heat and moisture exchanger (HME) for filtration as well as heating and humidification of the air. Electrostatic bacterial and viral filter for the reliable contamination protection of patient and respiratory devices. Low tensile forces on patient connection due to slim and lightweight design.